Noor Bukhari is a Pakistani glamorous actress, director, and fashionable model. 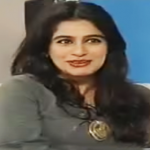 She is acting in Urdu and Punjabi films and television commercials. The amazing lady is considered as the beauty queen of Pakistan. Bukhari has possessed scandalized personality. She often comes in news due to the numbers of her husband’s and divorced issues. The appealing actress is famous for the role of Rajjo in the film ‘Ishq Positive’ which is directed by her. Noor Bukhari was born on July 3, 1982, Lahore in Pakistan. She admitted into a local school. Then she successfully completed Bachelor degree from Lahore. Faaria Bukhari is her younger sister who is also an actress. Faria became a child star in the Pakistani movies in the mid 90’s and she competed on the reality show ‘Nachley’, in Season 3. Amazing actress Sana Nawaz is her cousin. Noor Bukhari started showbiz career as a child star and played childhood roles of the leading actresses in Pakistani films. ‘Pyar Karan Toh Nai Darna’, ‘Uroosa’ and ‘Jannat’ are some movies in those her childhood roles became hit. Noor Bukhari made debut as a leading heroine with the movie ‘Mujhe Chaand Chaahiye’ with co-actor Shaan Shahid in 2000. Then she appeared respectively in more than a dozen Urdu and Punjabi movies. Noor left showbiz industry for family problems but came back in 2009 with the movie ‘Zill-e-Shah’ alongside Shaan. Within the next few years, the actress who always likes to come in the media news concentrated in acting and presented some popular films to her fans including ’Bhai Log’, ‘Revenge of the Worthless’ and ‘Ishq Positive’. Noor Bukhari appeared in TV dramas with ‘Uff Yeh Larkiyan’ in 2001, then she acted in the drama serials ‘Mein Noor Ka Paristaar Hoon’, ‘Mere Angnay Mein’ and ‘Phir Tanha’. 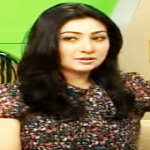 The popular actress also acts in a comedy serial ‘Colours’ directed by Fahim Burne. The mooted actress Noor Bukhari was seen to participate in Pakistan’s biggest dance show ‘Nachley’, in Season 1 with Humayun Saeed and Season 2 with Faisal Qureshi. 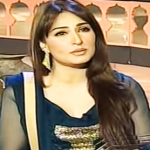 Noor Bukhari has been criticized in her personal life for marriage issues. She first married Vikram in Dubai in early 2008 but in April of that year, she filed for divorce. Bukhari told media that Vikram promised to embrace Islam after marriage but he had lied to her. She tried her best to convert him but he refused so, Noor decided to file for divorce from him. She then married film producer and director Farooq Mengal in the same year but unfortunately separated from him four months later and consequently divorced him as well. After that, Noor Bukhari married Awn Chaudhry in 2012 for the third time. Finally, in June 2015, she married a fellow actor Wali Hamid Ali Khan who is a son of renowned classical singer Hamid Ali Khan. Surprisingly, this is her fourth marriage.